We are environment friendly, professional carpet dry cleaning company based in Dubai, UAE. 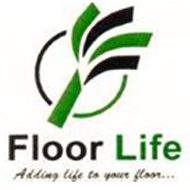 We are authorized representatives of Carpet Cleaner GmbH, Austria. We clean and maintain all kinds of carpets with their dry carpet cleaning system, offering an unrivalled safe method of deep cleaning all types of carpets. We posses a young, factory trained team of technicians. The system requires no soaking of carpets thereby avoiding water marks and wet or sticky residues.